Celebrity Cruises recently announced its newest ship, Celebrity Edge, will feature brand new and exciting culinary options. 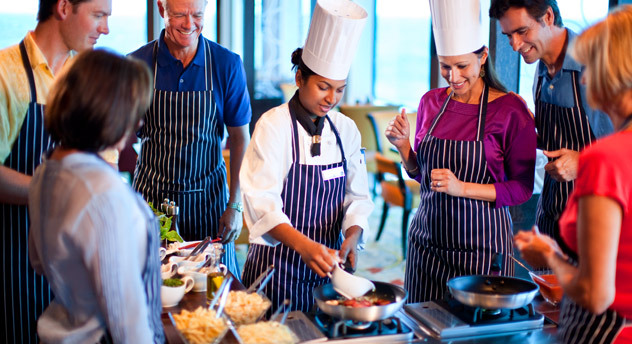 Guests will be able to experience top-quality cuisine from around the world without having to leave the ship. Celebrity Edge will feature 29 world-class venues, which includes seven brand new specialty restaurants, four main dining restaurants, two exclusive restaurants for Suite and AquaClass guests, five complimentary quick service dining venues, and 11 bars/lounges. Celebrity Edge promises to take guests on a cross-continental culinary journey. Celebrity Cruises recently announced a new dining concept, Moveable Feast with Celebrity Cruises, launched as part of a new partnership with Fine Cooking magazine and its popular television series Moveable Feast. Moveable Feast with Celebrity Cruises brings the essence of the Emmy Award-nominated series to sea with a Moveable Feast Night in the Main Restaurant, cooking demonstrations, cocktail parties and award-winning Chef’s Market Discoveries excursions where chefs lead guests through local markets to select fresh ingredients for a special private dinner back on board. The first of Maury’s top-notch dessert offerings will be featured aboard the ultramodern MSC Divina, sailing from Miami to the Caribbean all-year-round. Original recipes served in specialty restaurants, buffets and MSC Yacht Club will receive a touch of Maury’s culinary twists. 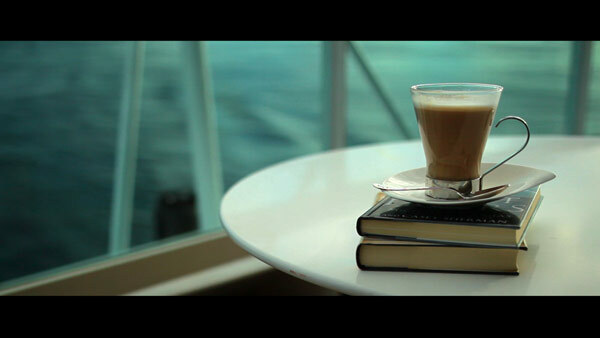 After the initial introduction of his products on MSC Divina, his menus will be rolled-out on other ships as well. Guests are assured of constant surprise and delight with new culinary experiences, in addition to the authentic Mediterranean and international culinary currently offered on all fleet. Norwegian Cruise Line has introduced a new way of dining at the line’s signature specialty restaurants. This new experience will provide guests with the freedom to choose a variety of different dishes in a flexible way. 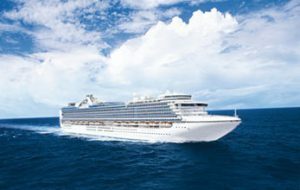 Cruisers will be able to choose from any of the 11 complimentary restaurants or experience new flavors at the specialty restaurants including La Cucina, Le Bistro, Cagney’s Steakhouse and the brand new Bayamo restaurant. The à la carte options will first be featured on the new Norwegian Escape debuting in October of this year. The à la carte will allow for per-item pricing at the specialty dining restaurants. For example, when dining at Cagney’s Steakhouse you can expect the starters to range from $4.99 to $7.95 and main courses from $17.99 to $29.99, featuring Certified Angus Beef steaks. 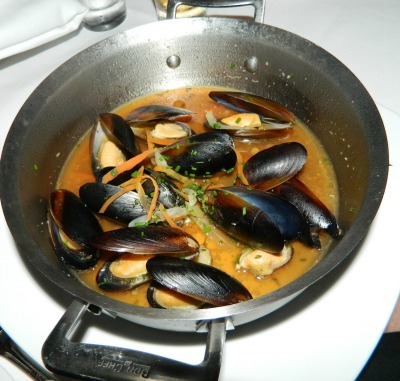 At Le Bistro, guests will find delicious new main courses in addition to traditional French favorites starting at $15.99. La Cucina will also feature an extended menu with antipasti, pasta, risotto and traditional second courses starting at $12.99. 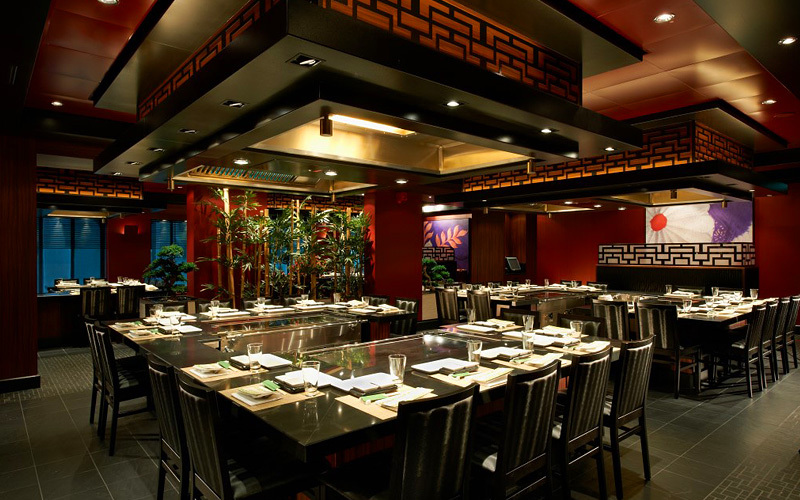 Moderno Churrascaria and Teppanyaki will remain at a cover charge from $19.95. Guests who purchase a Norwegian Specialty Dining Package will be able to enjoy La Cucina, Le Bistro and Cagney’s Steakhouse at no additional charge, or the new Bayamo restaurant for an additional fee of $15. 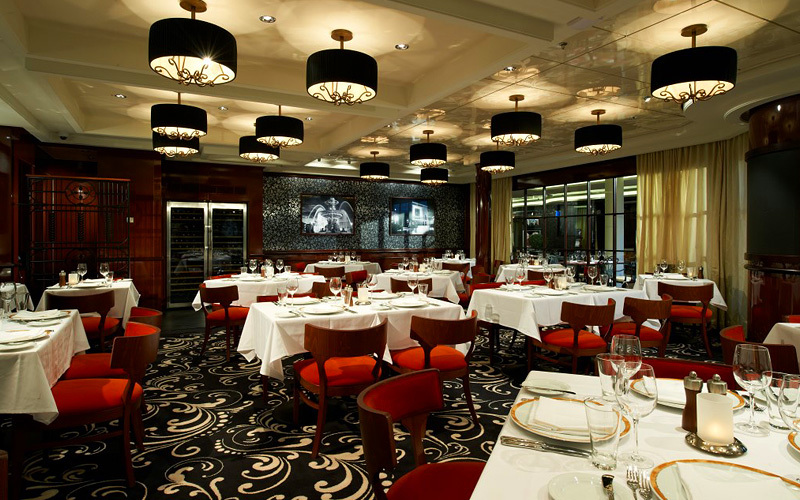 In addition to Norwegian Escape‘s specialty restaurants, Ocean Blue on Norwegian Breakaway and Norwegian Getaway will also begin offering à la carte options on October 3, 2015, and the new à la carte dining will be available fleetwide beginning January 1, 2016. Norwegian Cruise Line has just announced a new way to enjoy the variety of wonderful specialty dining restaurants across their entire fleet for sailings departing August 7, 2015 and beyond. Specialty Dining Packages are available for cruisers to purchase as an extra option to be able to enjoy multiple restaurants. The special packages also come with a great amount of flexibility on the number of dining nights desired, as well as which restaurants guests would like to try. 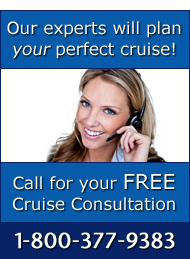 The packages range from three nights to the full length of the cruise, with pricing starting at $59 per person for the three day package. When you pair Norwegian Freestyle Cruising with their new Specialty Dining Package, you’ll discover that you really can decide when, where and how you’d like to dine. Specialty Dining Packages can be pre-purchased prior to your cruise for additional savings, or onboard during the first two days of the cruise. For 3-day sailings, the dining packages are exclusively sold on the first day of the voyage. Norwegian passengers who pre-purchase a Specialty Dining Package prior to sailing can even reserve their dining reservations online within 90 days of their sail date. Alternately, passengers can go the “Freestyle” route and decide when and where to dine once onboard. Specialty Dining Packages are purchased individually and guests traveling in the same stateroom do not need to purchase packages as a group. 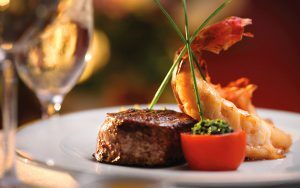 To book your Norwegian cruise and experience this exciting new dining option, call us today at 1-800-377-9393! 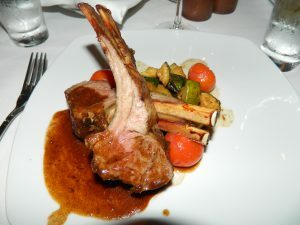 Norwegian Cruise Line pretty much revolutionized the cruising world with the idea of specialty dining years ago. Now they are working on ways to make their specialty dining restaurants more accessible to their passengers. This month they introduced The Ultimate Dining Package. 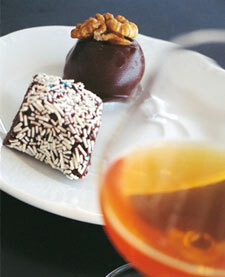 This package gives passengers the chance to eat at any of the ships’ specialty restaurants every night. When I first cruised as a mere boy, I was marveled by the excitement of dinner time. Always the hungry child, I lived for the moment when the whole family, as well as many others on the ship, headed to the main dining room for our nightly meal. Top-notch service from the same waiter each night (with whom we built a great rapport), as well as the cheeky personality and humorous jokes, made every dinner service a delight and left us with timeless memories.